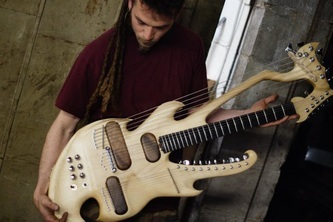 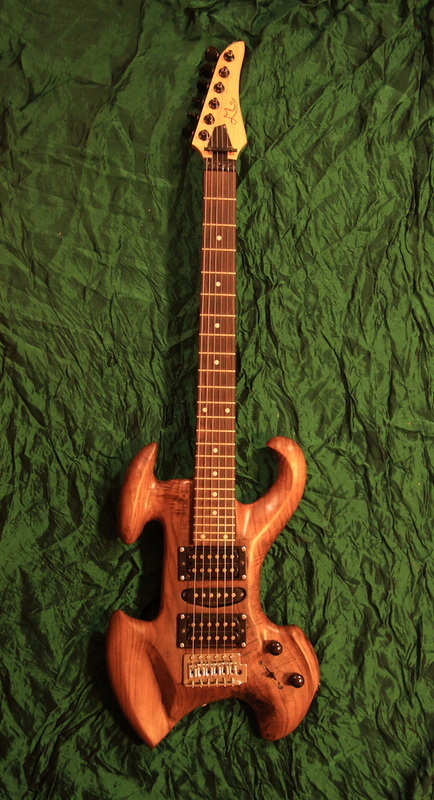 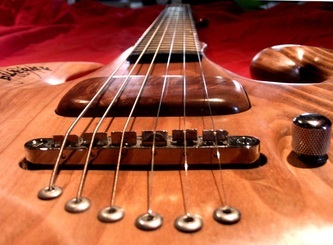 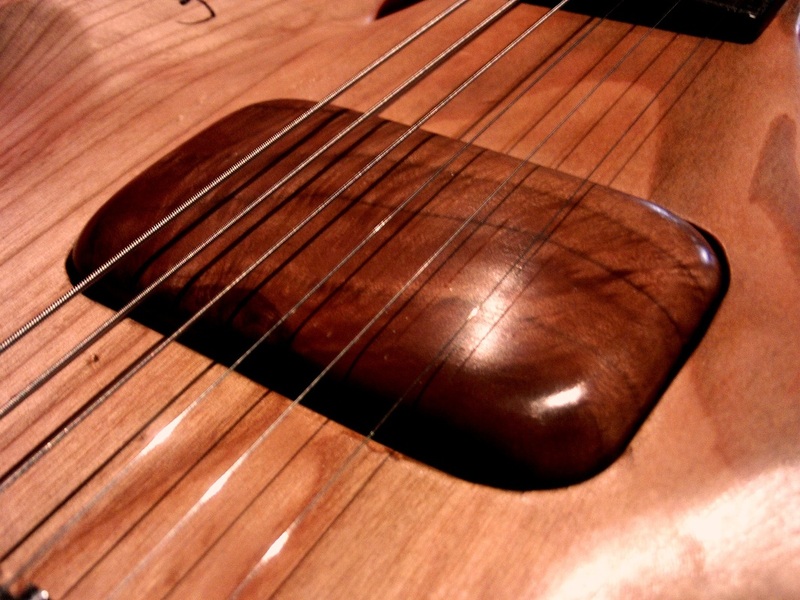 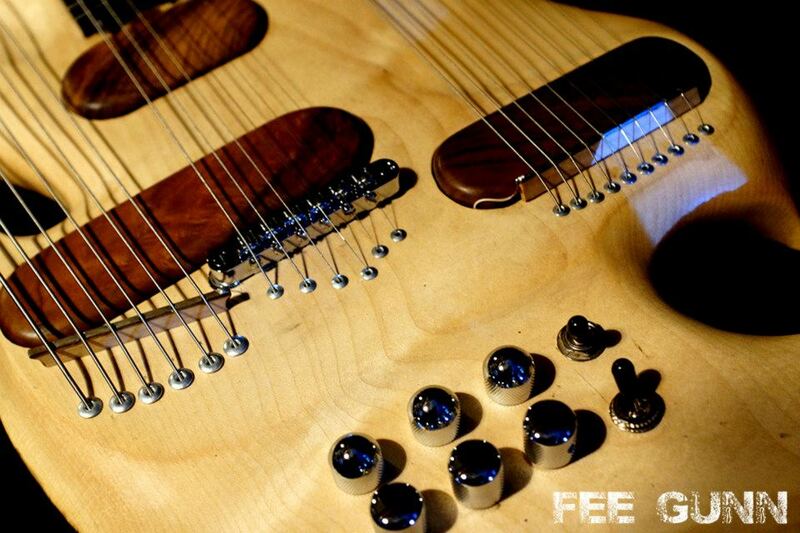 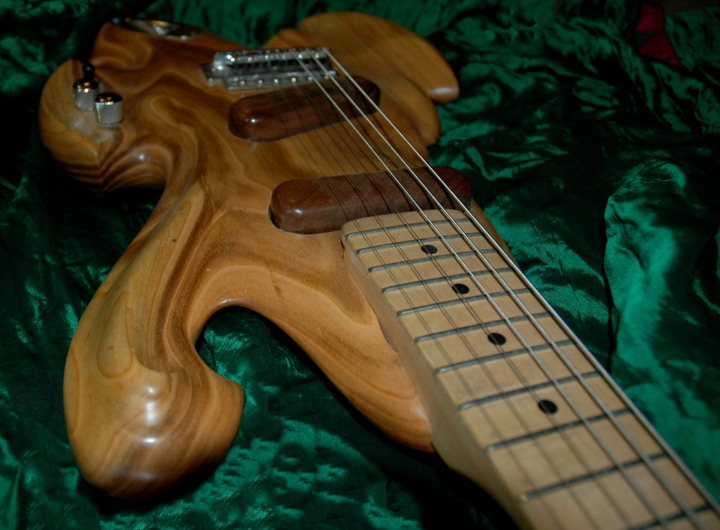 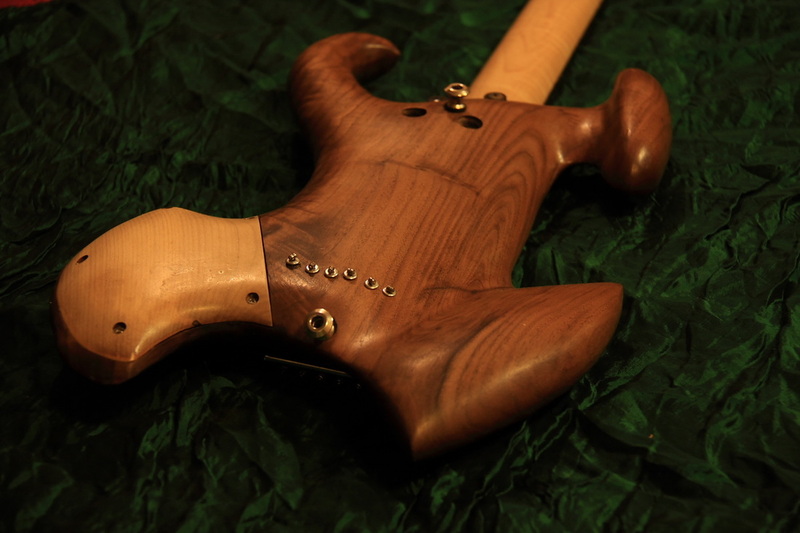 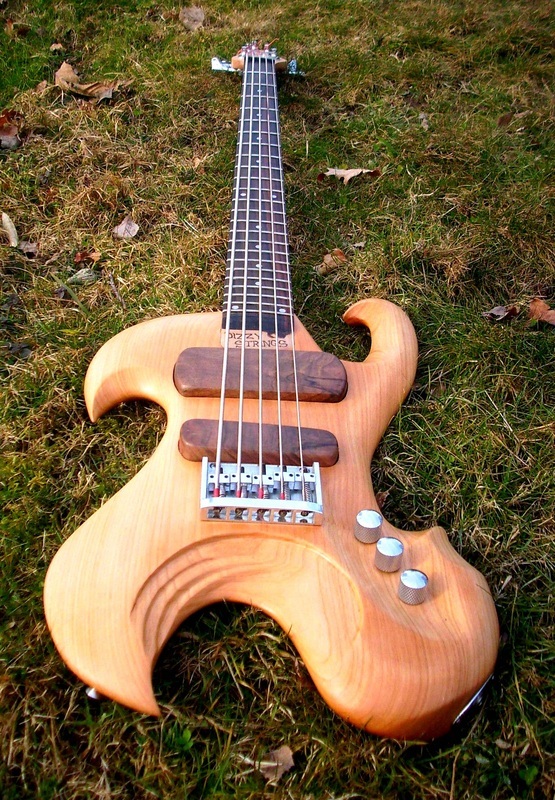 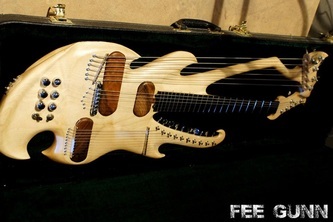 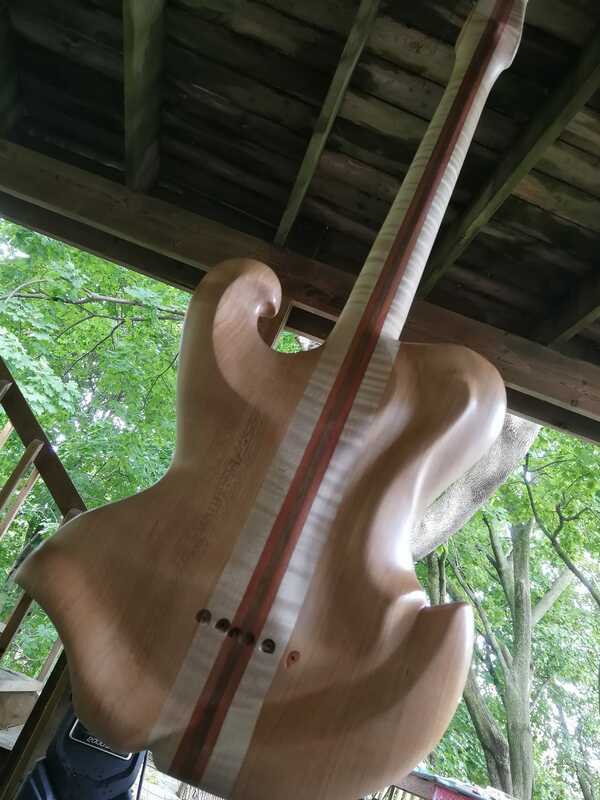 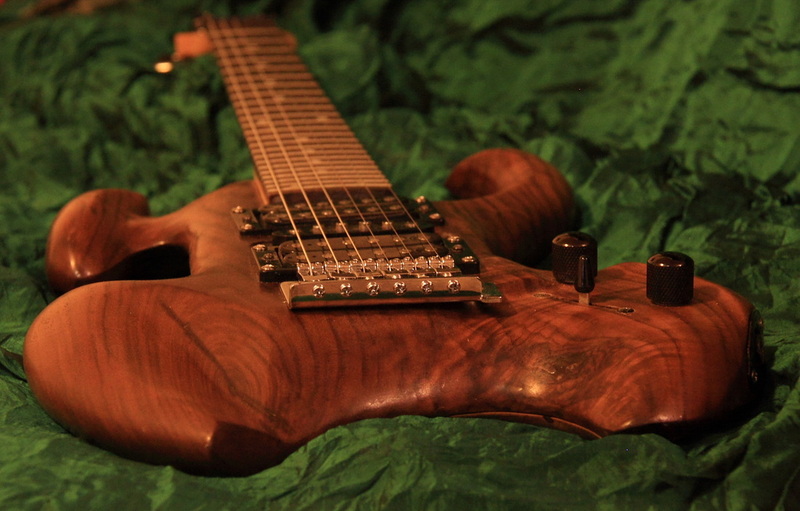 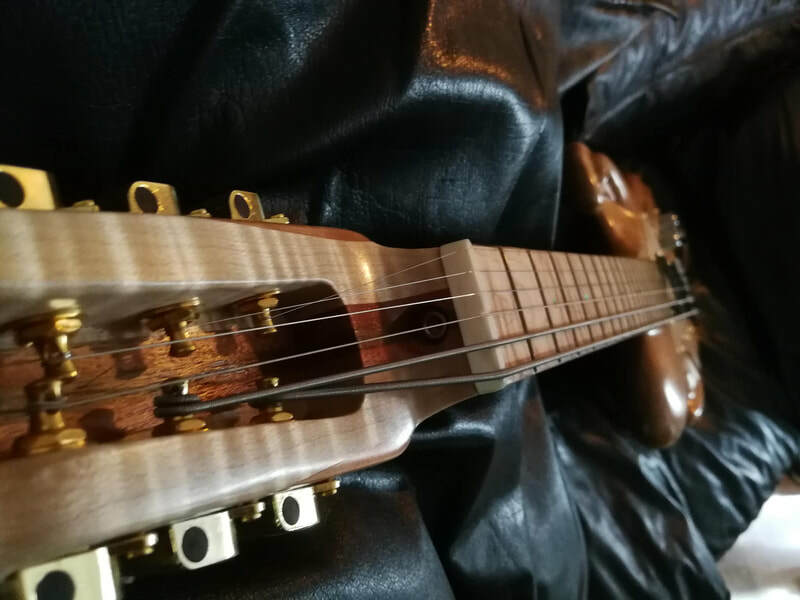 Sensational Slovenian Mountain Maple, and walnut Electric harp guitar with ebony fretboard. 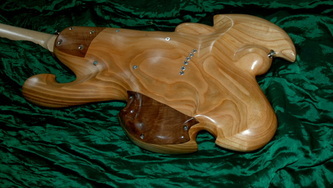 Commissioned by a customer. 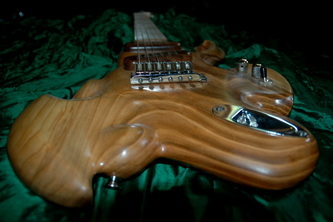 Wild Cherry wood, Walnut covers, Maple/Rosewood neck.. Seymour Duncan ceramic "humbucker" and "quarter ponder" single coil. 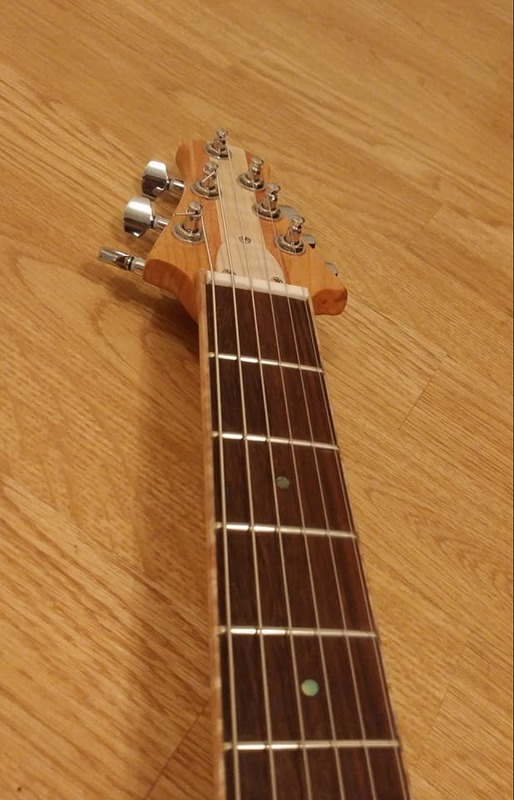 The sound range on this one is just amazing, very clear and from very high on the "quarter ponder" to ultra low on the "humbucker". 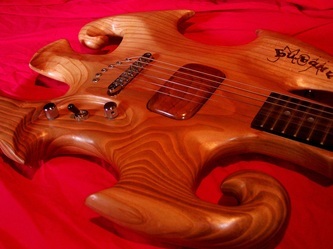 Cherry, custom sentimental guitar. 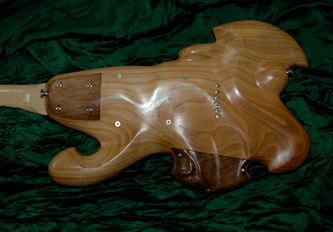 Commissioned for equipment trade. 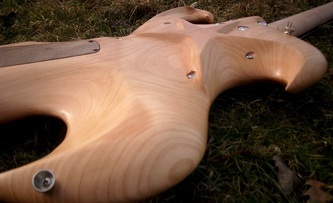 New Aerodynamic body for Ibanez hardware. 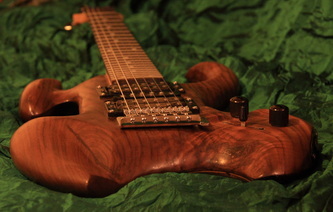 This unique walnut piece was made by order. 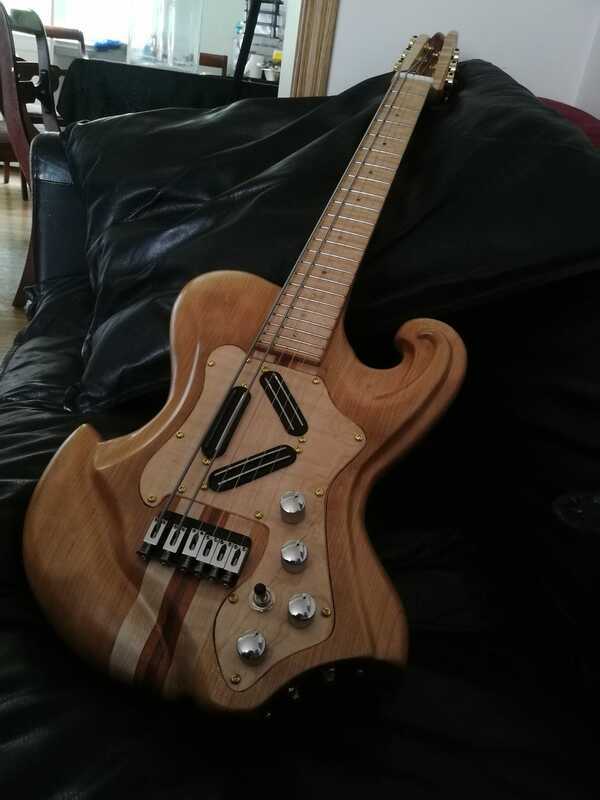 Another new guitar, all hand made, unique wild cherry/maple/walnut. 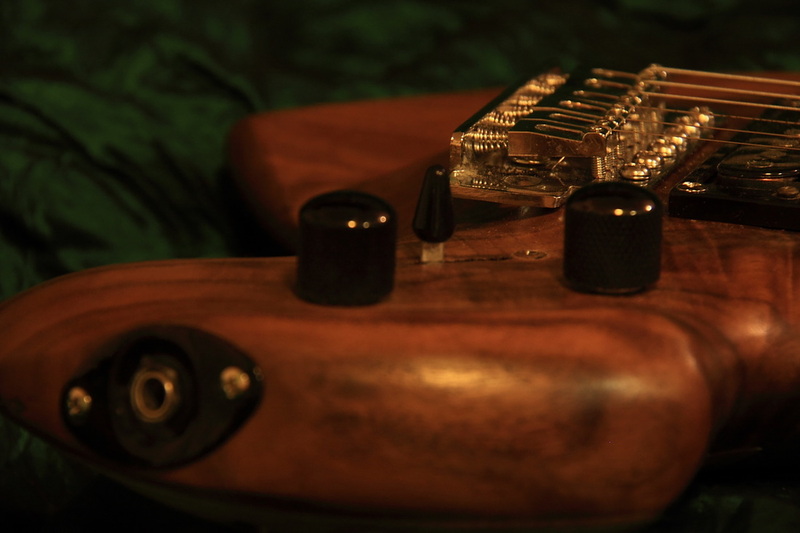 My signature "Jimi" turned bridge single coil and custom made wood pick-up covers. 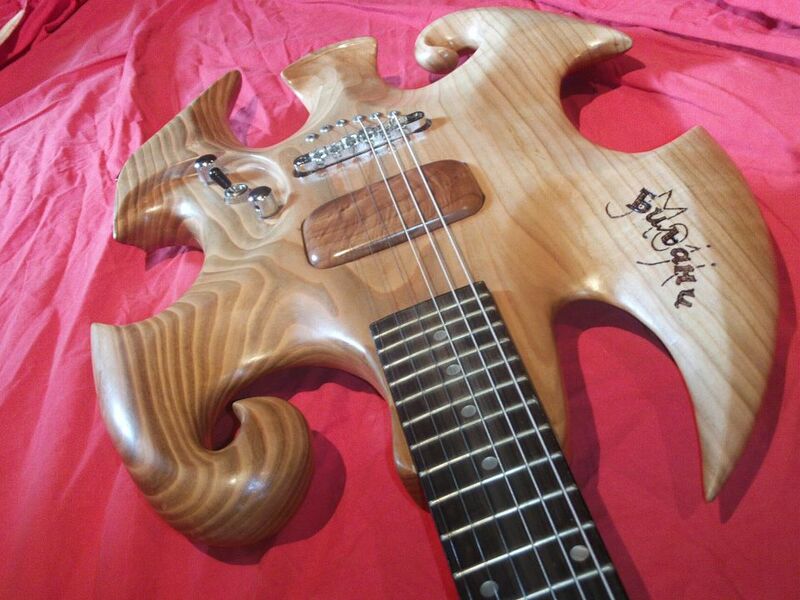 The whizz got its promotion as the king of the blues-rock approved and signed it, literally a moth before he passed away. 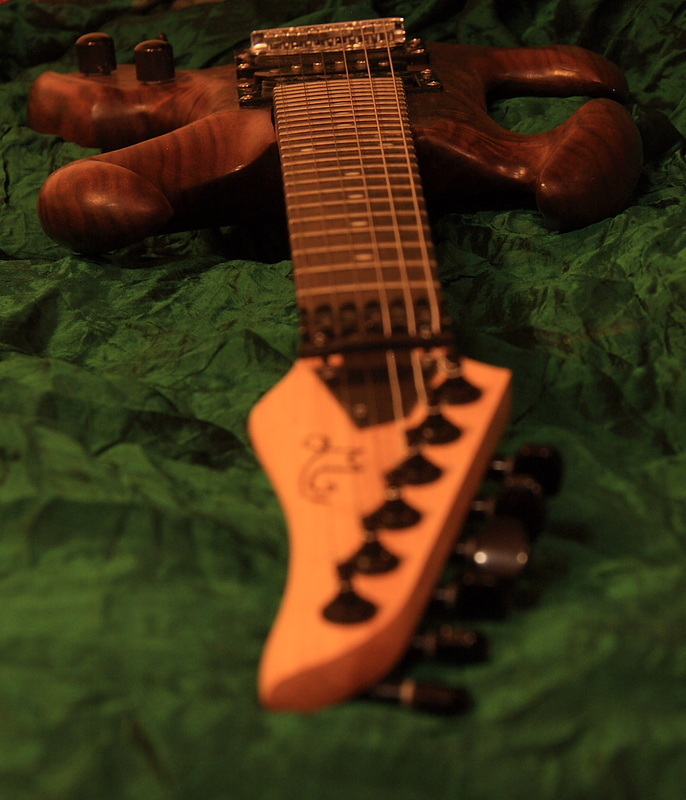 Thank you Mr JOhnny Winter, for all your great music and for gifting me this precious moment I will never forget. A proof that childhood dreams do come true. 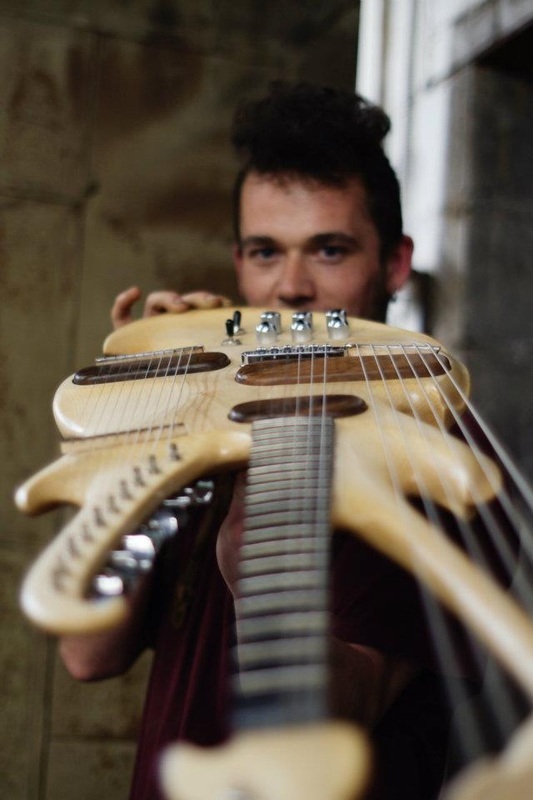 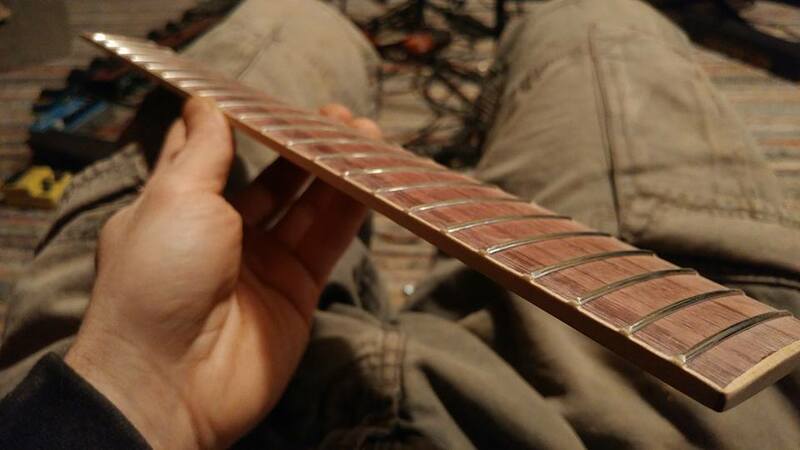 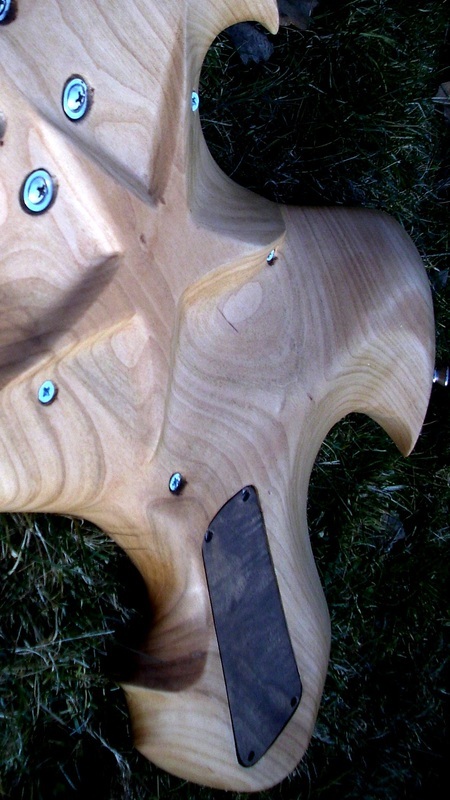 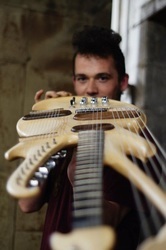 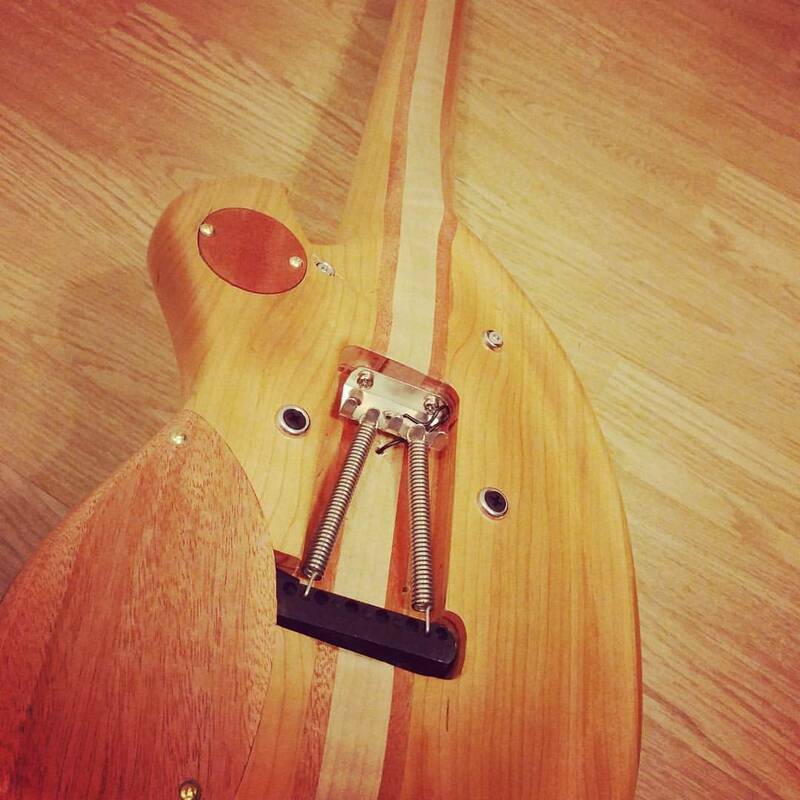 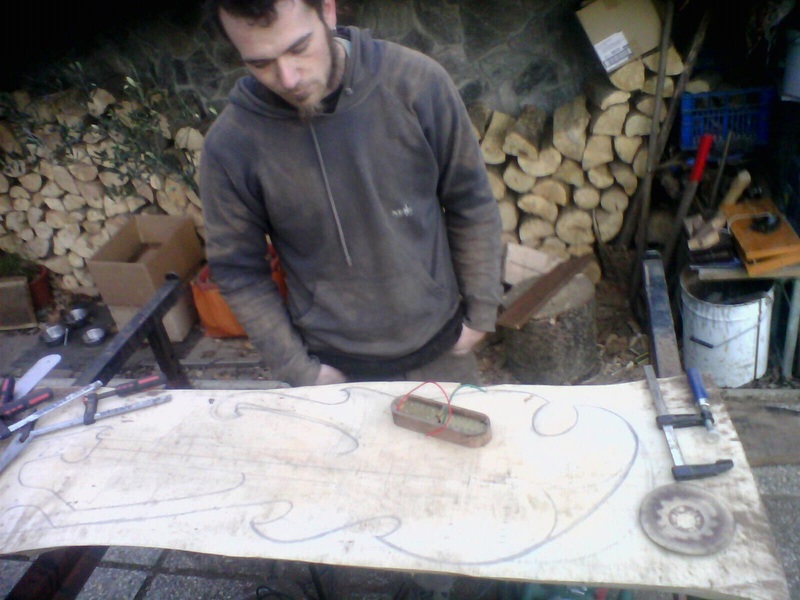 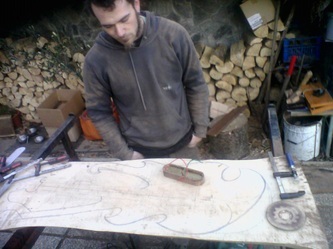 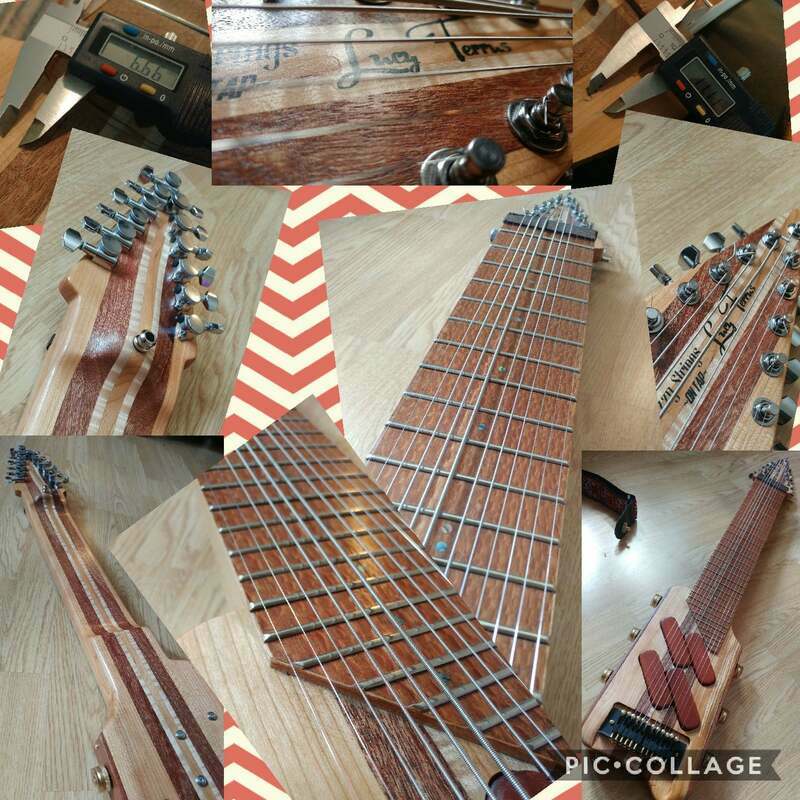 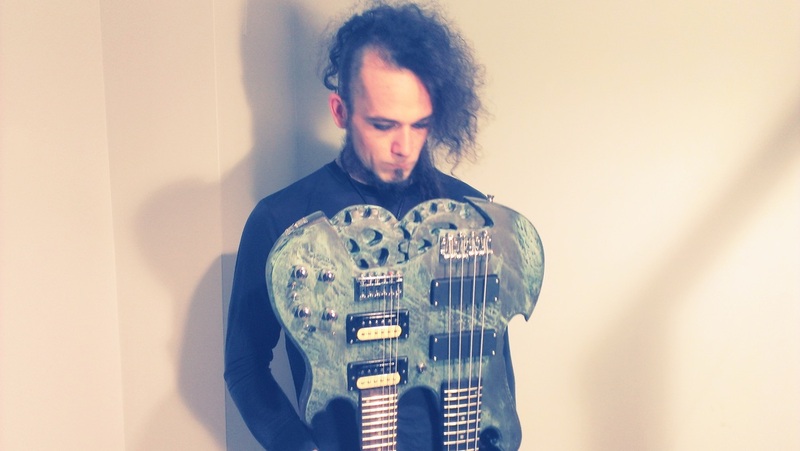 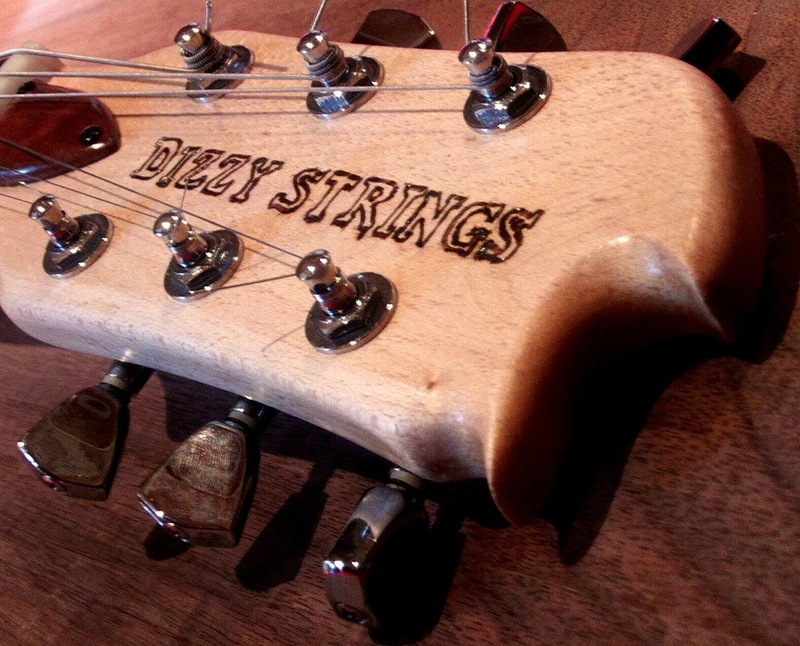 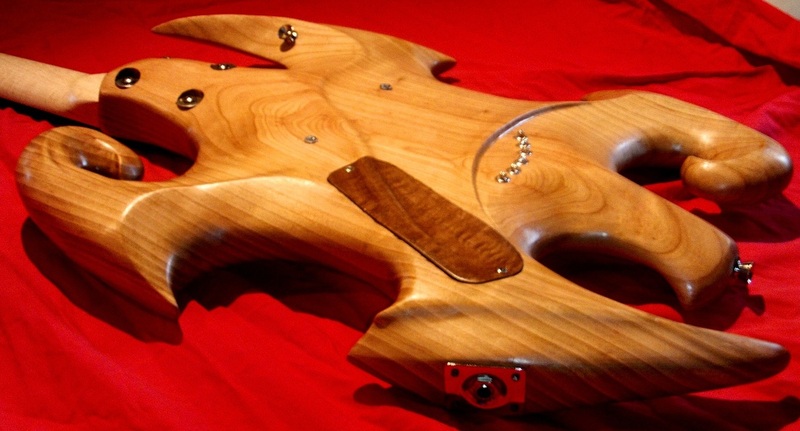 Double-neck guitar build for looping performances. 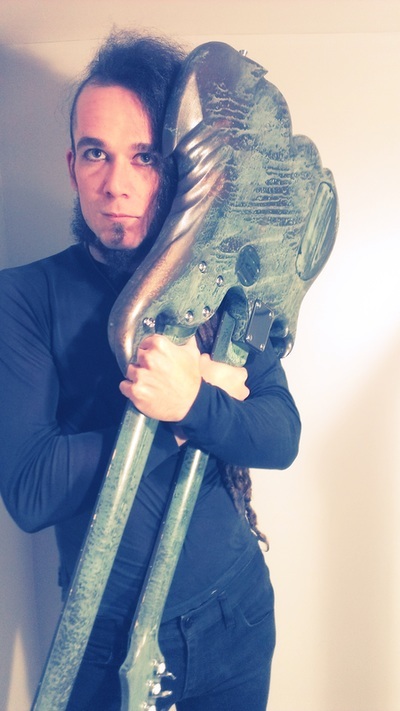 This one features unique bronze antique patina finish and carved gears to represent the The Antikythera. That's where the name comes from too. 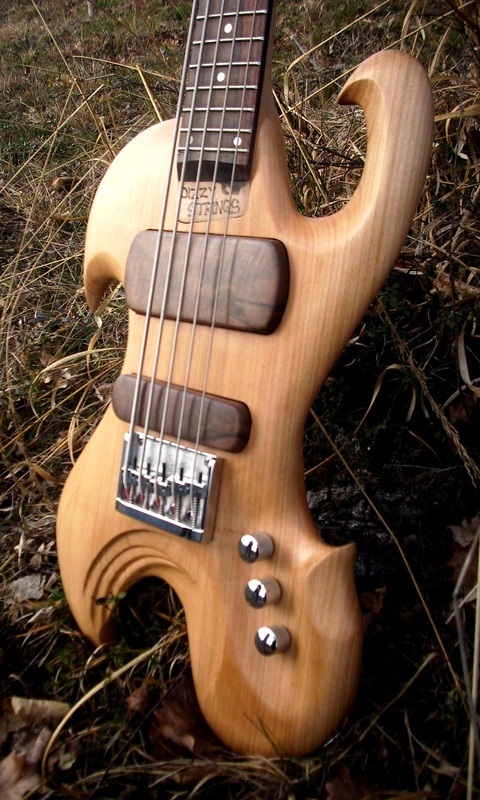 These instruments were inspired by a rare instrument from the 70s. 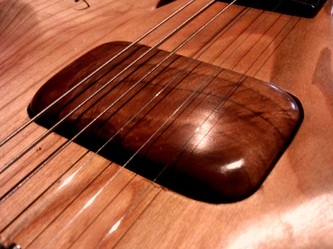 Its played by tapping in the manner of piano. 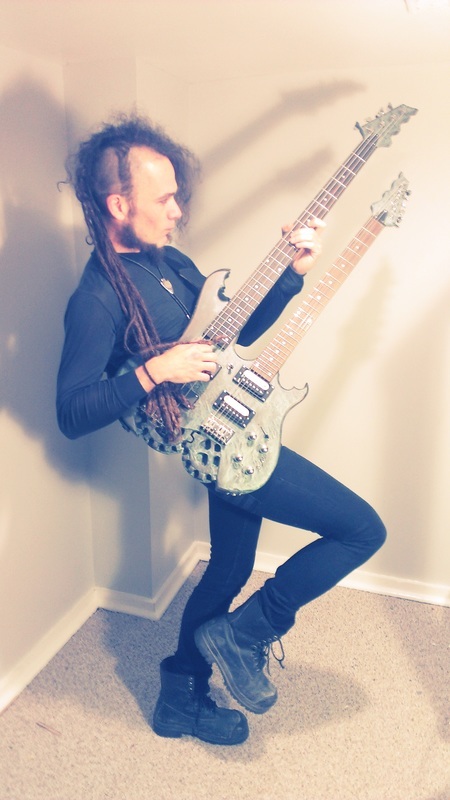 Playing bass on half the instrument and guitar range on the other half. 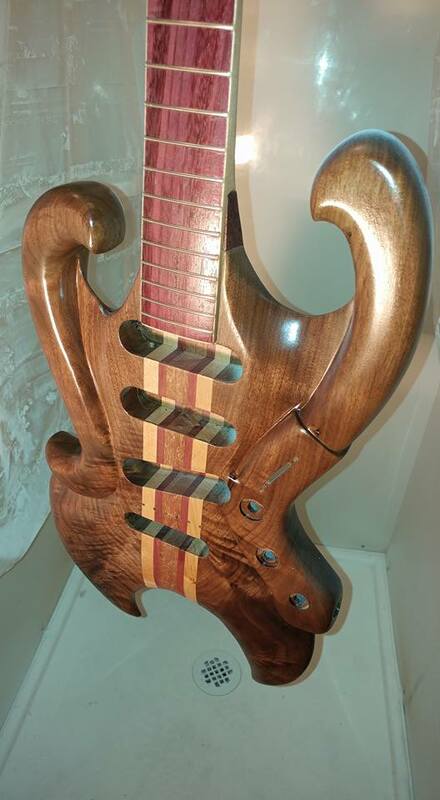 Both were made from beautifully laminated leftover pieces of wood. 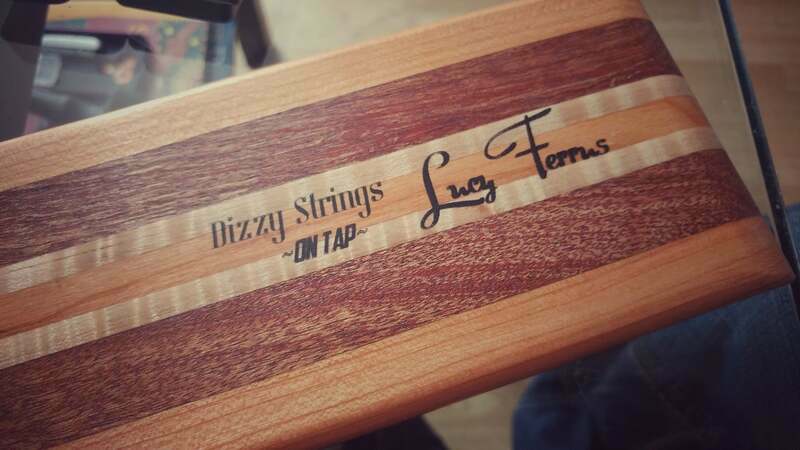 "LUCY FERRUS" Stereo split tapping instrument. 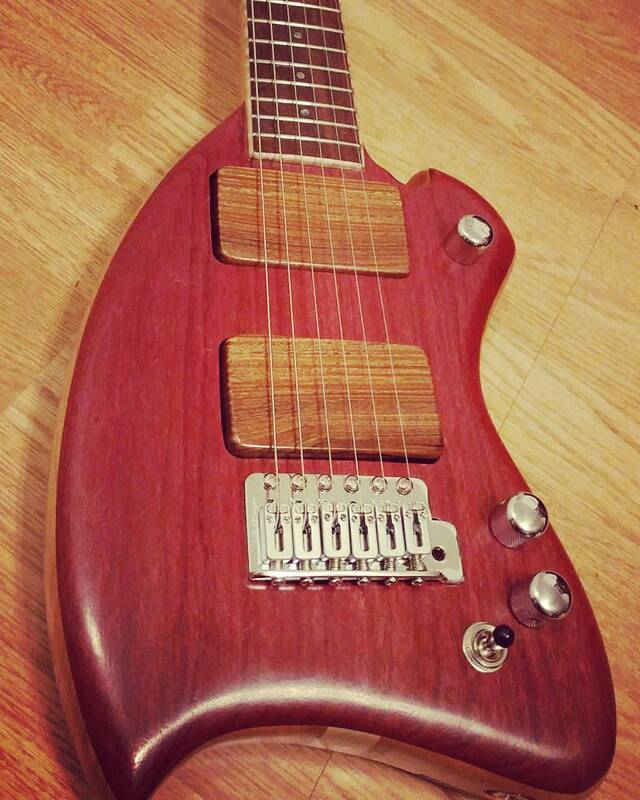 Wild cherry, mahogany, maple, leopard wood fret-board,abalone inlays and hot rails pickups in wooden covers. 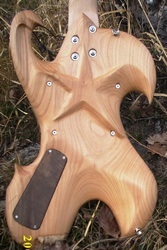 Well may it be the "bringer of light", the number that manifest thoughts in druid tradition. 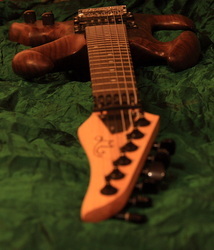 Tribute to my guitar hero Jimi Hendrix. 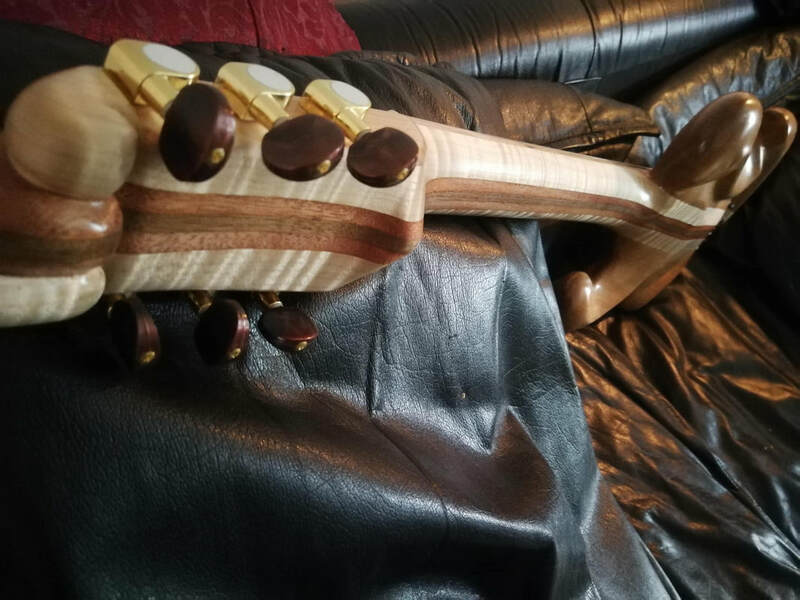 Walnut, maple, purple-heart and a tad of mahogany. 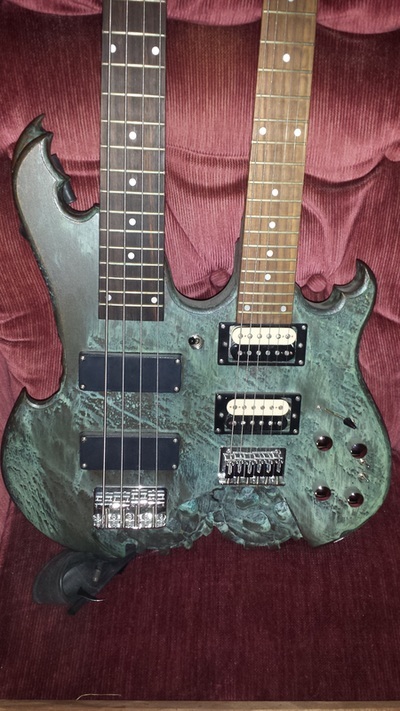 With L.R.Baggs active piezo bridge and with Seymour Duncan Slash signature series humbuckers this one quickly became my favorite guitar. 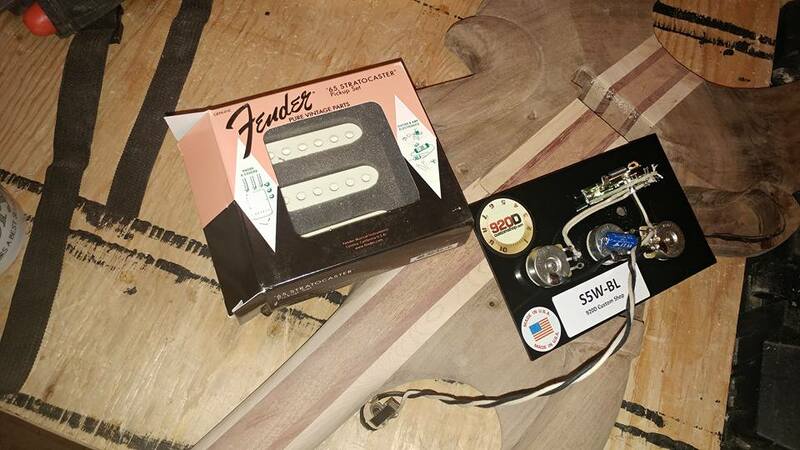 I was always a single coil guy but this one changed my mind..... 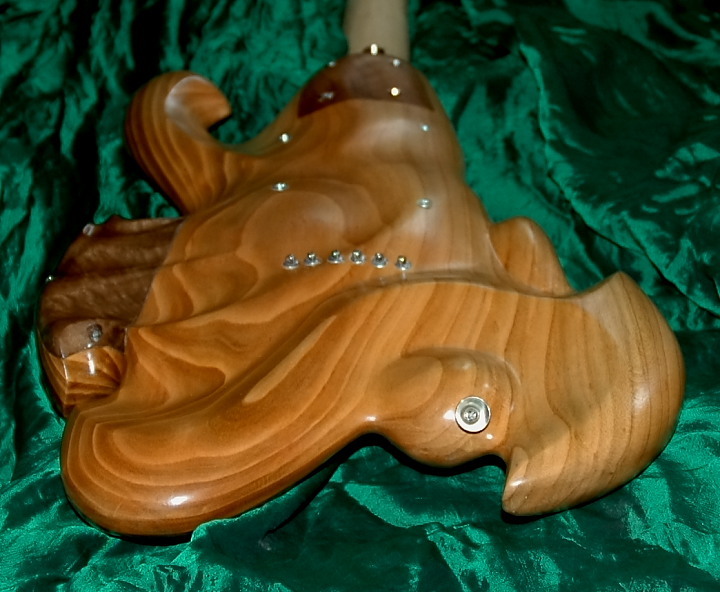 Especially being that i used those same humbuckers bare in another guitar and absolutely hated the edge....well wood covers seem to solve that problem par excellance. 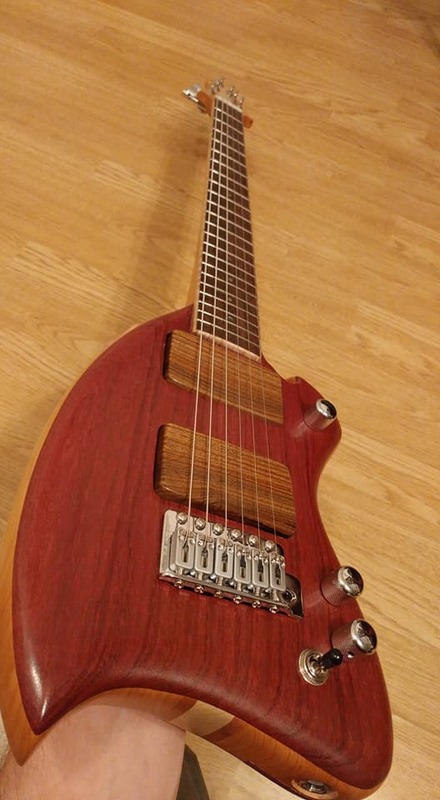 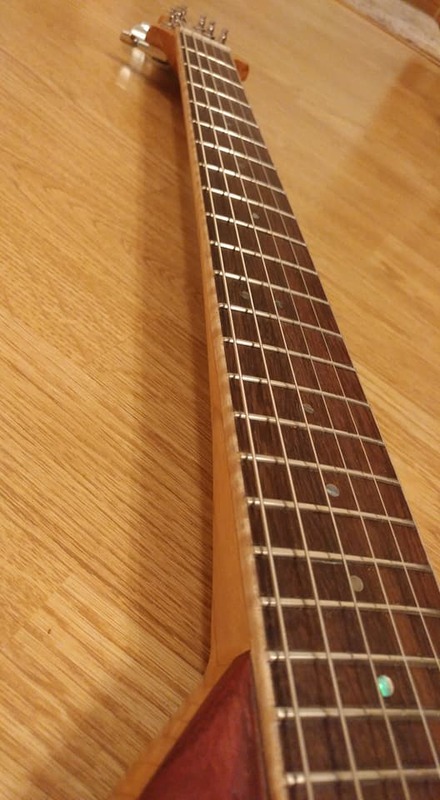 Wild cherry, purple-heart top, rosewood fret-board and my favorite: through neck made of mahogany and maple with sides of the instrument continuing into neck. 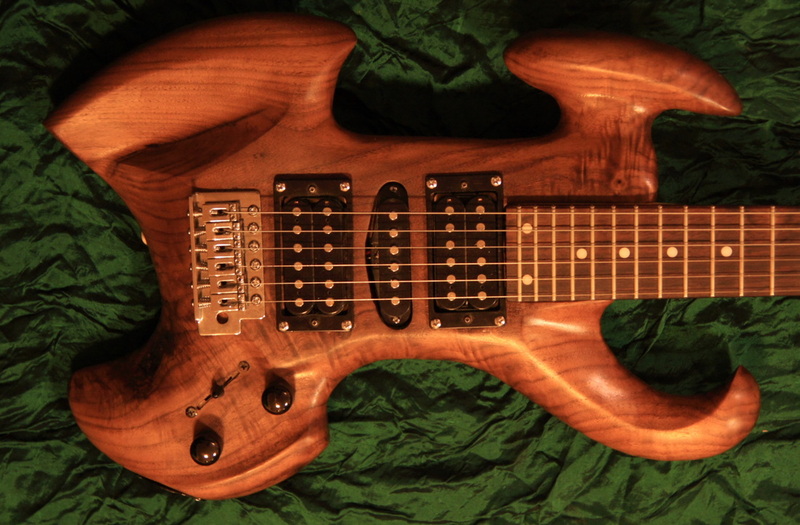 This one i made as a request from my great friend and guitarist Mark Sepec. 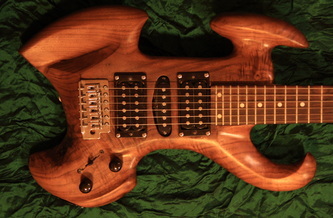 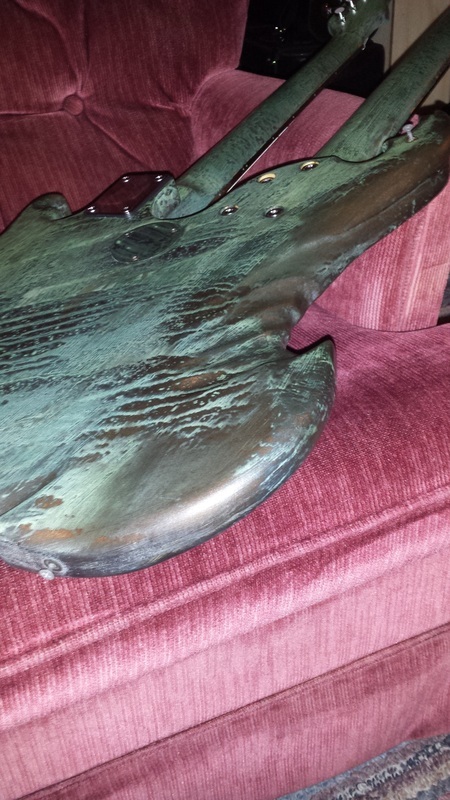 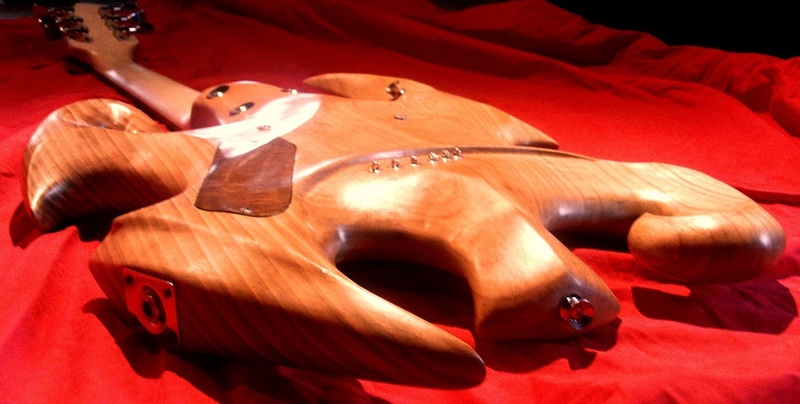 Beautifully sculpted guitar made to be played a lot. 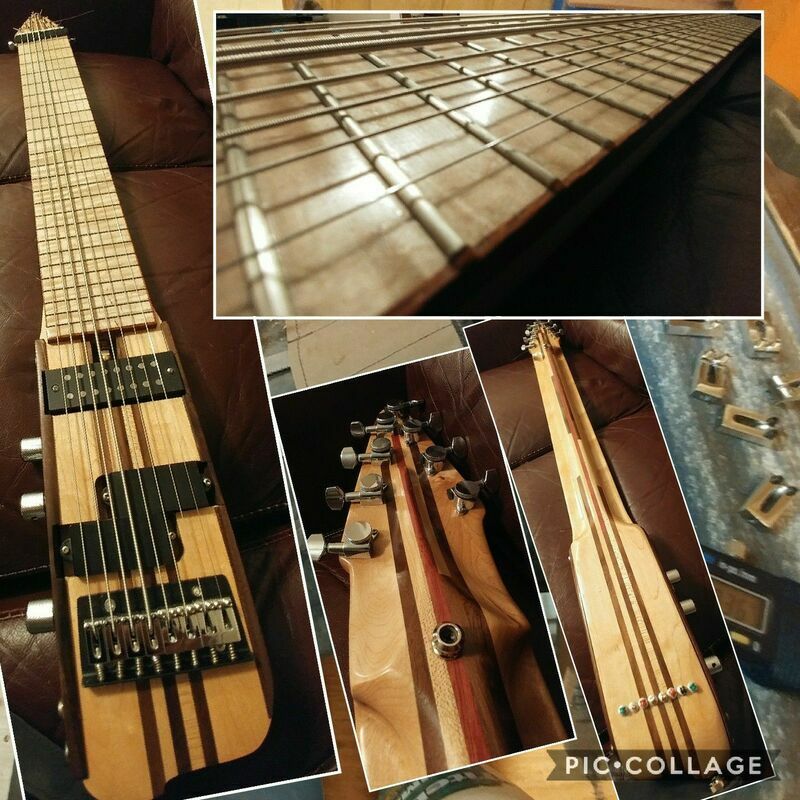 He plays a lot of figerpicking styles where he picks his own bass. So, ever since he has been longing for a split output instrument to give him that real full band sound. 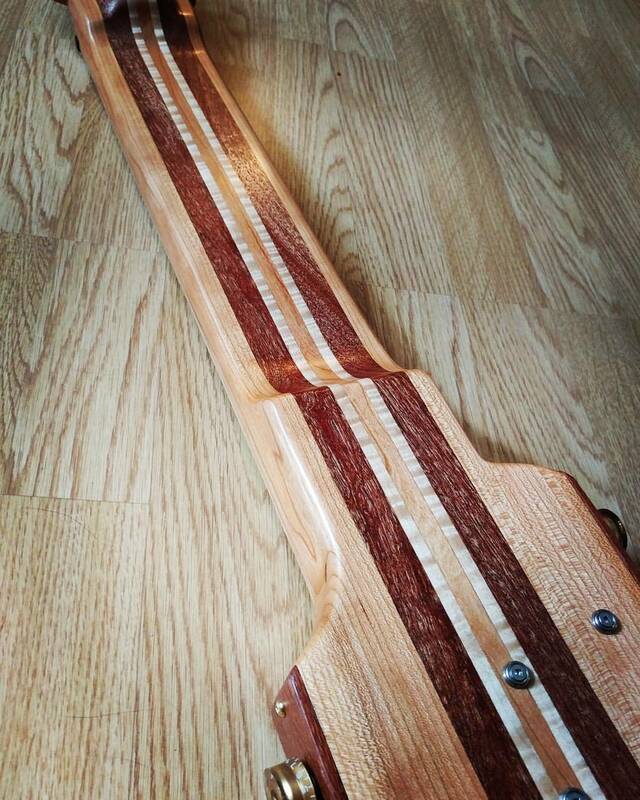 Made out of wild cherry and maple with a tad of mahogany again.